Freshman Makenzie Powell is involved in various organizations that further enhance her leadership skills. Powell reflected on her involvement in high school, mentioning that she wished she had made a bigger impact. "In high school, I wasn't really that involved so I wanted to do [important things] like build my resume and focus on volunteering. People usually say college is about partying, but that's not really me. I'm more laid back, but I wanted to make more of a difference," said Powell. Surely Powell has made a difference, as she has volunteered for Atria Senior Living, Habitat for Humanity, Community FoodBank of New Jersey and other organizations through Kean. Under the Center for Leadership and Service (CLS), Powell has proven to be dedicated to helping others. Managing Assistant Director for Community and Civic Engagement Susan Figueroa attests to Powell's enthusiasm for volunteering. Aside from community service, Powell is also a Transition to Kean (T2K) Bronze Leader for the Leadership Institute. First-year students like Powell are given the chance to learn about the many forms of leadership at Kean such as involvement, networking and individual and group values. In addition, the Leadership Institute enhanced Powell's leadership skills, which she will implement as a teacher. Powell also understands the need for interacting with people in a respectful manner, which will be used with her future students. "With my goal of being a teacher, leadership skills are beneficial, and I have to learn how to properly be a leader," said Powell. "Not only do I need to be a leader, [but] I [also] have to have traits that showcase that I am capable of being one. As a teacher, I know that I have to be a leader in the classroom setting and in the workforce as well because I need to be able to work with different people. I just feel that having those different skills makes it easy to compromise and work with others." 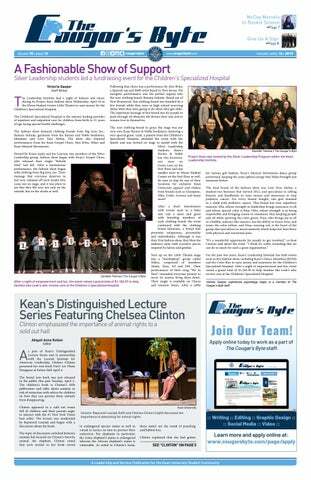 Aside from the Leadership Institute, Powell showcases club involvement through her memberships in Kean University Rotaract Action Club, Early Childhood Education Club and Helping Younger Hands. "Since I am in all these clubs, I have thought about being on the [executive board], but I feel in the next few years I'll be able to handle that responsibility," said Powell. Powell, a T2K Bronze Leadership student is also involved in Helping Younger Hands, Rotaract and Early Childhood Education Club. 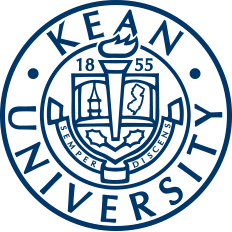 Kean University Rotaract Action Club is a worldwide service organization that builds young adults to serve and help others in their community. Early Childhood Education Club develops future teachers through practicing leadership and communication skills, while also giving them opportunities for professional development. Helping Younger Hands educates students on spreading awareness on disabilities, disorders and abuse while also fundraising and donating money to the Children's Specialized Hospital. Furthermore, all of these organizations are beneficial for Powell to pass down her skills to her peers and children she will one day teach in a classroom. "Before I graduate, there is a lot I want to accomplish. I just want to continue focusing on community service and making a difference by doing things that benefit other people," said Powell. "In terms of location, I would like to stay in New Jersey because that is where most of my family resides. Ideally, I would be teaching elementary education to fourth and fifth graders, but it depends on where the jobs are. [However], I feel like [those grades] would be old enough for me to be serious with them, but also joke around." Lastly, passion is the one word Powell agrees is important in her career, and she attributes this to the Leadership Institute and other resources at Kean. "My mom and my cousins are all teachers and I've always been close with my teachers at school," said Powell. "I also felt mature and had a relationship with all my teachers, and I noticed they were passionate about it.Through their passion I realized that this was something I would want to do, ever since I was little. I gained that passion as well." For more information on the organizations Powell is a part of, students can visit the Leadership Institute's page or browse through Cougar Link.